The High Court of Lautoka has set March 5 as the plea date for three former Nadi Town Council officers. Aisea Tuidraki (former special administrator), Sakaraia Serau (forming acting chief executive officer) and Suresh Chand (former senior rates/ accounts officer) are charged with seven counts of abuse of office. The charges were brought by the Fiji Independent Commission Against Corruption. Tuidraki, Serau and Chand were jointly charged with one count for abuse of office while Chand was charged solely on six counts of abuse of office, which was contrary to section 111 of the Penal Code and section 139 of the Crimes Decree 2009. Tuidraki was represented by lawyer Kitione Vuetaki while Serau was represented by lawyer Kevueli Tunidau and Chand was represented by lawyer Vasu Pillay. The offences are alleged to have occurred between 2003-2010. Tuidraki’s lawyer, Mr Vuetaki told the court that Section 157 of the Constitution stated that absolute and unconditional immunity was irrevocably granted to any person holding a public office from any criminal prosecution. 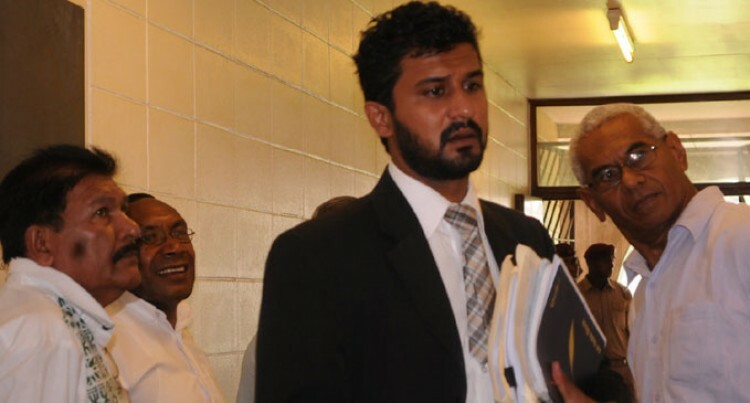 Justice Sudharshana De Silva asked lawyer Vuetaki to file his submissions on the permanent stay of prosecution against Tuidraki. The matter has been adjourned to March 5.